TAMRA HAYDEN TO PLAY THE BOWL AT ORIGEN’S HOLLYWOOD VENUES! 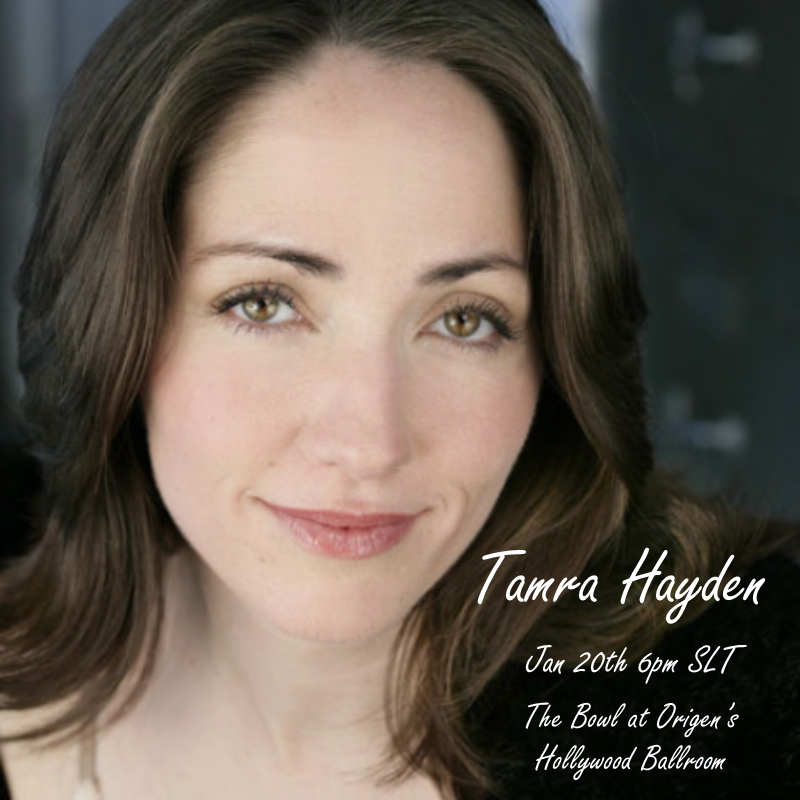 In RL Tamra Hayden has performed on Broadway as Cosette in Les Miserables, she has toured the USA as Christine in Phantom of the Opera, and now she comes to The Bowl at Origen’s Hollywood Venues to share her magical voice with us. This is truly a must see performance from a highly acclaimed performer and artist. Join us on Wed. Jan 20th at 6pm SLT at the Bowl. THE PINK VAMPIRE BEGINS HER EXCLUSIVE RUN AT ORIGEN’S HOLLYWOOD VENUES. Wednesday, Jan 20th at 7pm SLT. This night begins The Pink Vampire’s exclusive run at Origen’s Hollywood Venues. The Pink Vampire’s voice is renowned throughout Sl. In fact, she was voted as one of SL’s top 3 vocalists in the 2015 Live Music Awards. Pink will be playing in the fabulous Bowl; a venue that can hold up to one hundred avatars with plenty of room for all. The club’s TIS system has 105 dances, in easy to find categories, that will make guests look like dancing professionals. People are also invited to stay after the show and dance under a fireworks filled sky.